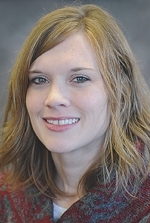 Jessica Trygstad joined the staff of the Archdiocese of St. Paul and Minneapolis Office of Communications Nov. 20 and is serving as the assistant editor of The Catholic Spirit. She graduated from Augustana College in Sioux Falls, S.D., with majors in English and journalism. After college, she served as night editor at the Daily Globe in Worthington. She spent the last five years writing, editing and managing web content for The Evangelical Lutheran Good Samaritan Society, a national not-for-profit provider of senior care and services. Jessica and her husband Eric are both from southeast Minnesota and have two children: Tessa, 5, and, Alexa, 4 months. They are members of St. Charles Borromeo in St. Anthony. The Benedictine Health System board of directors has named Rocklon “Rocky” Chapin as president and CEO effective Jan. 1. He replaces Dale Thompson, who announced his retirement in March. The Benedictine Health System is the parent organization of Benedictine Health Center at Innsbruck. Chapin joined the Benedictine Health System in January and currently serves as senior vice president in business development and strategic planning. He has been a leader in the management and health care industry for more than 35 years with experience in operations improvement, board and physician relations, managed care negotiations, strategic planning and business development.